The pair made their way down the steps of Air Force One at the Sigonella Air Force Base before hopping into a waiting motorcade. After an intense couple of days, they made their final appearance in Italy speaking at the Sigonella airbase! 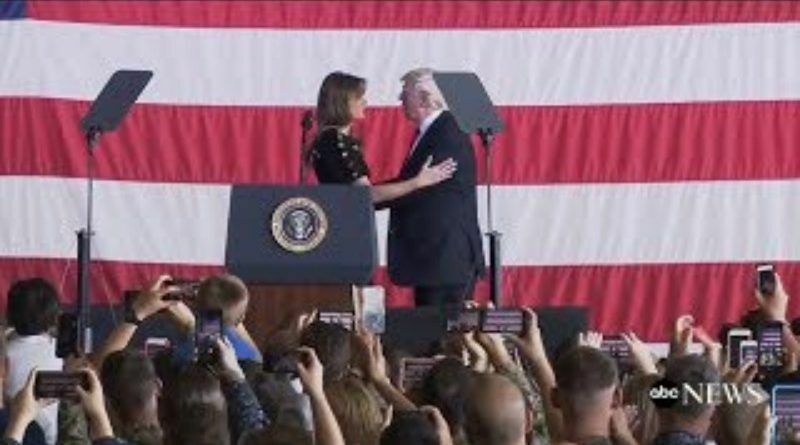 In a rare speech for Mrs Trump, the first lady addressed US military personnel at a naval base in Italy on Saturday afternoon ahead of the trip back to Washington with Donald Trump. The first lady, dressed in a black custom-made Dolce & Gabbana dress with button-embellishments, said she would never forget the women and children she met during her nine days on the road in Europe and the Middle East. Watch what Trump does at the end of the video that has the media going insane. The trip took the Trumps to Saudi Arabia, Israel, Belgium, and Italy where Melania spent time with Pope Francis and at various children’s hospitals. 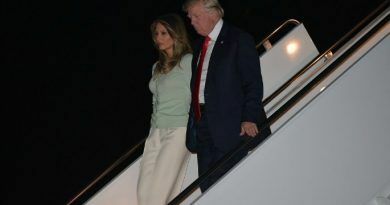 ‘It has been a great trip and many strides have been made,’ Mrs. Trump said. 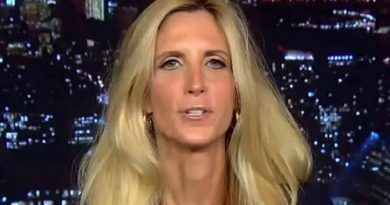 ‘My husband worked very hard on behalf of our country and I’m very proud of him. The 47-year-old said she was honored and blessed to have been granted an audience with Pope Francis, and she shared stories of her time spent with sick children in various hospitals. She recalled meeting one specific boy at Vatican’s children’s hospital in Rome on Wednesday. ‘Just hours after leaving, a young boy I spent time with found out he had received a new heart donor. Receiving that news is a moment I will never forget and I wish him a speedy recovery,’ she said. ‘This trip for me has been very special and I will never forget the women and children I met,’ she told the crowd. IF YOU ARE PROUD OF MELANIA AND DONALD TRUMP, PLEASE LIKE AND SHARE!!! DISTASTE In The Mouths Of ALL Liberals Will Never Be Washed Away When They See OUR POTUS Donald J. Trump and His Beautiful Wife Melania, OUR First Lady Of The United States Of America!…They Will Never Appreciate The 8 Day Tour To Countries Abroad WHO Greeted OUR President And First Lady With RESPECT And FINALLY After 8 YEARS AS ORPHANED “ALIES” Sat Down With Each Other About BRINGING PEACE TO THEIR NATIONS TOGETHER IN A LONG ROAD AHEAD!! 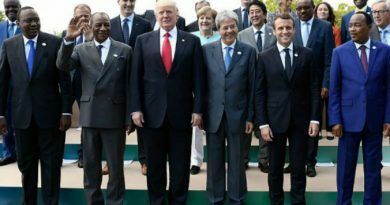 WORLD PEACE THROUGHOUT OUR EARTH IS JUST THE BEGINNING WITH THE EFFORTS OF OUR 45TH PRESIDENT AND PRAY THAT HE WILL CONTINUE THIS JOURNEY WITH HEALTH AND STRENGTH NEEDED TO ACCOMPLISH THIS MISSION! When you just print the good things like this that our President and First Lady are doing. don’t end it with reference to the media and liberals, you will do MUCH more good! The ones out to ‘get’ Trump hate to be ignored, don’t give them FREE space in your thinking, speaking or acting. Think/dwell on the good things our Pres. and leaders are doing around the world with an upbeat ending; joyful ONLY. Philippians 4:8. This is a great Human Lady to give a first speech of such substance. Beautiful in appearance and beautiful in the Heart. She knows what the important parts of living are. Good luck and please, stay the person you are today in spite of the stress that our public create. I am not proud of D.Trump if he is not attacking to N. Korea. I’m proud to be American and I believe our President will make this country great again! Our first lady is beautiful inside and out…so proud of her.